Nowadays, the sustainable manufacturing capability of manufacturing devices has attracted more and more attention from academia and industry, in order to coordinate the conflicts between serious environmental impacts and economic benefits. As one kind of advanced manufacturing devices with intelligence, the industrial robot (IR) is an important driving force to make the production activities more efficient, safe and sustainable. 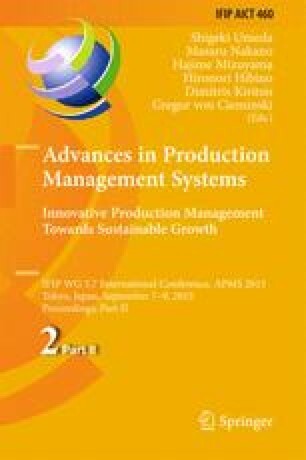 A unified sustainable manufacturing capability model for representing IR systems in cloud manufacturing based on ontology was proposed in this paper, so as to solve the description problems in terms of the various capabilities of IR systems, and also to facilitate the factories to effectively manage the IR systems’ manufacturing activities during the whole production life-cycle. The case study and its implementation show the developed ontology model is suitable for all types of IR systems, and can comprehensively reflects their sustainable manufacturing capabilities in real-time. This research is supported by National Natural Science Foundation of China (Grant No. 51305319), the Key Project of Natural Science Foundation of Hubei Province of China (Grant No. 2013CFA044), and the Wuhan International Scientific and Technological Cooperation Project (Grant No. 2014030709020306).